In this modern era where everything seems to move at the speed of light, working in one industry, let alone a single company for 60 years, is exceptional. Wild Turkey Master Distiller Jimmy Russell is one such exceptional person, and 2014 marks his 60th year with Wild Turkey. Jimmy Russell began his journey with Wild Turkey in 1954 on the production line. Russell worked his way up through the company to become the Wild Turkey Master Distiller in 1967. Over the past 60 years, Wild Turkey has been owned by a number of different companies including Austin Nichols & Company, Pernod Ricard, and now Campari America. Through the ups and downs of the business, and the changing of the proverbial guard, Jimmy Russell has been well known for sticking to his guns and making the whiskey that he believes in. In the late 60s and 70s when other American Whiskey brands were trying to appeal to vodka drinkers (most notably “Four Roses American”), Russell fought and won to keep Wild Turkey at 101 proof. 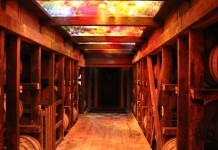 At Wild Turkey, Jimmy Russell has been a true innovator. His Russell’s Reserve 6 Year Rye is the gold standard for rye whiskey, and was first released long before anyone was really interested in the category. Russell’s Wild Turkey 101 Rye is equally as revered and considered by many to be the ultimate whiskey for a Manhattan cocktail. Jimmy Russell is also a pioneer in the flavored whiskey space: in the 1970s his Austin Nichol’s Wild Turkey Liqueur was one of the first flavored whiskeys on the market. It was repackaged, reformulated, and rereleased in 2006 as Wild Turkey American Honey – truly a product ahead of its time. Beyond his work at Wild Turkey, Jimmy Russell has been a strong advocate for the American whiskey category and bourbon in general, and has been involved behind the scenes assisting scores of brands across many spirit categories. Jimmy Russell is simply a great man who embodies the all the qualities of the legendary men and women who helped make American whiskey what it is today. If anyone is ever deserving of the term “Master Distiller”, it’s Jimmy Russell. What makes Jimmy even more amazing is that all his acumen is accompanied by an amazing wit and sense of humor that help make Jimmy Russell one of a kind. We can think of very few as deserving as Jimmy Russell of a special commemorative release, although we bet if you asked Jimmy he’s be the first person to say he doesn’t need any commemoration – just enjoy his whiskey (any damn way you want to). 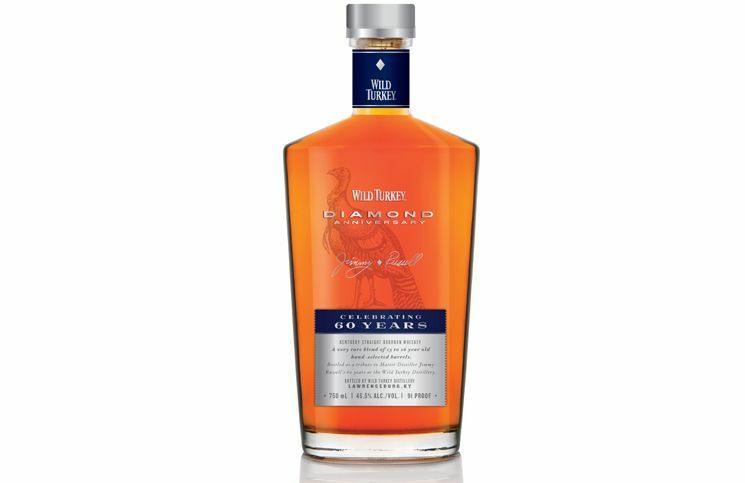 Wild Turkey Diamond Anniversary Whiskey (45.5% AVB, 91 proof, $125) – a blend of 13 to 16 year old bourbons selected by Eddie Russell, Jimmy’s son (and the future distiller of Wild Turkey). For an older bourbon, the nose on Wild Turkey Diamond Anniversary is surprisingly not an oak bomb. There is oak on the nose, but it’s the soft, old, weathered fence post variety. Alongside the oak is rye spice, bitter orange, and cinnamon – all signature Wild Turkey notes. From the nose you’d expect a more flavorful and structured entry; instead, the opening is soft and kind of flat. Light caramel, cinnamon, and orange slowly emerge in an entry that’s one of the duller ones we’ve seen from Wild Turkey. It’s pretty clear from the start that Wild Turkey Diamond Anniversary is underproofed. The flavors of the opening are too subtle and subdued for this level of whiskey, especially for a brand whose 101 proof has made it a stand out so consistently over the years. The opening also flirts with some lushness but manages to fall on the wrong side of it, presenting as more watery than rich. In the midpalate the rye spice from the nose is there, joined buy oak, clove, and cinnamon. 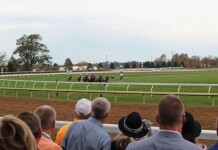 The midpalate this bourbon feels restrained, underproofed and lacking in real character. The finish is of medium length and a little flat with cinnamon, oak, and a slight note of bitter orange. In all, a fairly unremarkable whiskey, especially when you compare it to other commemorative whiskies in it class including: Four Roses 125th Anniversary Whiskey and Booker’s 25th Anniversary Bourbon. Wild Turkey Diamond Anniversary Whiskey is a little bit of a head scratcher, which unfortunately falls right in line with some of Wild Turkey’s missteps over the past few of years, including the horrid Wild Turkey Spice, the castrated Wild Turkey 81 and Rye 81, and the ridiculously named Russell’s Reserve Small Batch Single Barrel Kentucky Straight Bourbon Whiskey. We’ve always loved Wild Turkey for its utter simplicity: Wild Turkey 101, Russell’s 6 Year Rye, and Wild Turkey Rye 101 are three major benchmark spirits that represent some of the best of American whiskey. Jimmy Russell is well known for saying that he doesn’t like older bourbon, so why release an older bourbon to commemorate his tenure? Given our time with Jimmy Russell, a real tribute to him would have been to not mess with the products he’s fought so tirelessly and stubbornly for all these years. 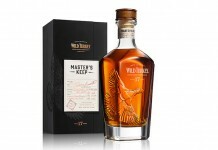 Pick out some honeypots of Wild Turkey at 6-9 years (like Parker Beam did with Elijah Craig at Heaven Hill for his Parker’s Heritage Collection Promise of Hope), bottle them at 101 proof, and then price them low enough that the scores of Jimmy Russell fans could pick up a bottle and raise a glass to one of the greatest men in American Whiskey.